The Week in HD - Monday 10th September | What Hi-Fi? Welcome back to The Week in HD, our weekly guide to the best high-definition TV shows, sports, films and Blu-rays to grace your screens. Apologies for the silence the last two weeks, with the Paralympics and our own What Hi-Fi? Awards, we've barely had time to catch our breath! And in the meantime, Doctor Who's been back on the BBC with Daleks and dinosaurs galore! Set in a post-apocalyptic world where the advanced metropolis The Capitol controls the surrounding 12 districts in a dictator-like grip. 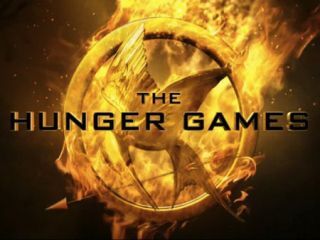 The Hunger Games is an annual event where two tributes, one boy and one girl, from each of the poorer 12 districts, are selected to take part in a televised battle to the death. With hints of Battle Royale and an underlining criticism of reality TV shows, Suzanne Collins' hugely acclaimed novels come to life on the big screen with the talents of Jennifer Lawrence, Josh Hutcherson, Liam Hemsworth, Woody Harrelson, Elizabeth Banks, Stanley Tucci, and Donald Sutherland. The eight remaining contestants have an entire hour and a half to cook up their one show-stopping dish to impress the judges enough to stay in the competition, but two celebs will leave tonight. From the animation team behind Wallace & Grommit comes this gag-filled comedy about an inept band of pirates, led by a captain intent on winning the coveted Pirate of the Year Award. They attempt to pull of a swashbuckling crime for the win, involving Charles Darwin, the last dodo bird, a pirate-hating Queen Victoria and plenty of other Victorian personalities. With the voice talents of Martin Freeman, David Tennant, Hugh Grant, and Imelda Staunton. Also out in Blu-ray this week. After last week's tart theme, this week it's a pie-fest: from the perfect Wellington to fiendishly difficult hand raised pies to the show-stopping American Pies. If Patrick Stewart's emotional series opener was anything to go by, this should prove to be another fascinating episode, as comedian Hugh Dennies learns about the different experiences of his two grandfathers' time during the First World War. Who knows when we're going to get another series of this comedy sketch show, but here's a chance to relive the fourth season. As Parade's End reaches its penultimate episode, I find myself increasingly rooting for Sylvia rather than Valentine. After last week's tragedies, we find Christopher once again returned to the frontlines in France, and Sylvia makes an unwise decision to visit him there. Tom Stoppard and Susanna White's gorgeous drama continues with Benedict Cumberbatch, Rebecca Hall and Adelaide Clemens starring. Jargon. QI is back! Hooray! We're on to the letter J now, and to start off the new season, we've got Victoria Coren, Bill Bailey, and Jimmy Carr joining Alan Davies and quizmaster Stephen Fry dissecting all sorts of jargon. A Town Called Mercy. From a fabulous series opener with a new twist on the Doctor's oldest foes the Daleks, to dinosaurs on a spaceship, series 7 of Doctor Who has gotten off to an exciting start. In tonight's episode, the Doctor gets to don his stetson once more as the gang head to the Wild West. In showrunner and head writer Steven Moffat's own words: 'Like all the best westerns, this is a tale of one man standing against impossible odds and his own personal demons.' Also: cyborgs, cowboys and guns. Armando Ianucci's political satire returned triumpahntly last week, with an introductory episode to the new Coalition team settling down in the DOSAC offices. Roger Allam was brilliant as usual as hate-everything-digital Peter Mannion, dealing with a bonkers one-day policy that was alarmingly too realistic. It's great to see Glenn and Terry back, feeling utterly displaced with the new regime change, and Olivia Poulet's Emma Messinger got a chance to shine, delivering some of the sharpest lines. This week we're back with Nicola Walker, now the leader of the opposition and dealing with fresh new obstacles, but most importantly: Malcolm Tucker is back. With series 2 scheduled to air in November, here's a great chance to catch up with this excellent original drama set in 1950s BBC newsroom. Best friends Bel (Romola Garai) and Freddie (Ben Whishaw) yearn for the freedom to cover bigger political stories, and a new weekly current affiars programme called The Hour just might be their ticket to success. Entangling political struggles, social etiquette, the power of the ruling classes, espionage, murder and love-triangles against an understated but lush soundtrack, The Hour is superb - don't miss it.